Oh, Isaiah Thomas. How we barley knew ye. 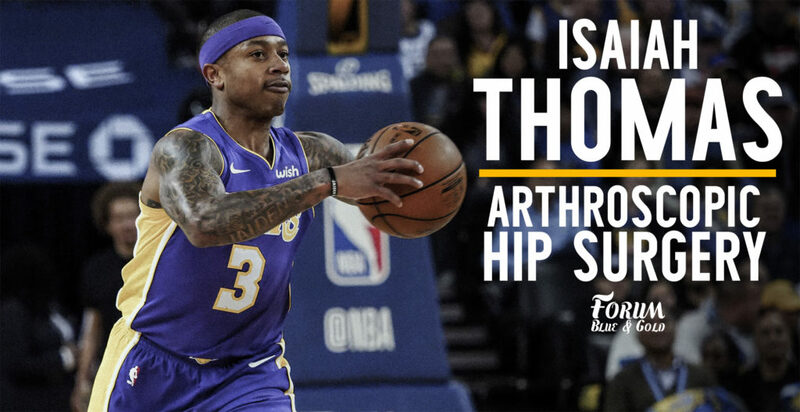 The Lakers announced that Thomas will undergo arthroscopic hip surgery. Though there is no timetable on his recovery, this procedure will effectively end his season with only 9 games remaining on the schedule. In 17 games with the Lakers Thomas averaged 15.6 points and 5 assists per game, shooting 38.3% from the field and 32.7% from distance in nearly 27 minutes a night. He also shot 92.1% from the foul line. Thomas, though inconsistent, was somewhat of a stabilizing force for the Lakers. His veteran status and leadership ability helped a young group of Lakers in a variety of ways, serving as a sounding board for ideas and offering insights about tactics, techniques, and strategies for success on the court. He also served as an offensive hub — for better and, sometimes, for worse — giving the team who pines for a superstar player in free agency this summer a glimpse of what life could be like with a high usage player in the fold. Thomas’ future with the team, however, remains an open question. Wojnarowksi reports that the Lakers “hold an interest” in exploring a deal in free agency this summer, though one has to wonder how high a priority Thomas would be. The Lakers have long been known to covet free agents to be LeBron James and Paul George, a plan which requires cap gymnastics and every available penny to execute. And while that is a problem for down the road, Thomas’ own free agency would seemingly fall below those loftier pursuits. As for my two cents, assuming good health, Thomas can be a useful if flawed player for the Lakers in the future. His scoring ability and playmaking acumen are huge pluses for any team, but especially one like the Lakers who lack dynamic perimeter play — at least on the scoring end — beyond a still-growing-into-his-role-Brandon Ingram. Thomas proved to be a nice fit next to Lonzo Ball as both a scorer and a playmaker, allowing Ball to do more work off the ball as a scoring threat while still giving him the opportunity to be a playmaker and set up man in both open and halfcourt situations. Thomas’ defensive issues remain a major weakness, however, and finding the right balance between how much he can help offensively vs. how much he detracts on the other end is a real concern. When he’s scoring efficiently and mixing his on and off-ball work, he can be a dynamic player who’s defensive flaws can be tolerated. When he’s not, he can become an anchor which dips efficiency on both ends of the floor in ways that hamper the team’s ability to compete. That might sound harsh, but the proof is in the numbers. While the Lakers had a (small) positive efficiency differential when Thomas was on the floor (+0.2), the team actually had better offensive and defensive ratings when Thomas was on the bench during his time with the team (and had a +4.2 efficiency differential). Further, when Thomas played, the Lakers’ defensive rating spiked to 109.7, worst on the team for any player who played over 400 minutes for the team this year. This brings us back to Thomas’ health, which is the biggest variable of all. It’s obvious Thomas was hampered by his hip during his time in LA. When asked, he spoke honestly about not being 100%, though that was often couched with comments that he was “getting better everyday”. Clearly, though, that changed at some point — he’s about to have surgery! Still, though, one has to wonder how Thomas recovers, how much of his previous form he regains, and depending on the answer to that question, how he can adapt and adjust his game in the aftermath. This is to say nothing of how much his mentality would shift if a full recapturing of his All-NBA ability doesn’t occur and the ripple effect that could have on the court, in the locker room, etc. Thomas plays with a chip on his shoulder. It’s not very easy to just turn that off. Those are worst case scenarios to consider, of course, and the hope is that those aren’t bridges that need to be crossed at all. The hope is that he comes back as strong (or stronger) with a game reflective of his pre-existing stature in the league. But, solid foundations are not built on hopes. And free agency is not the realm where hope can be relied on to translate into a productive player. 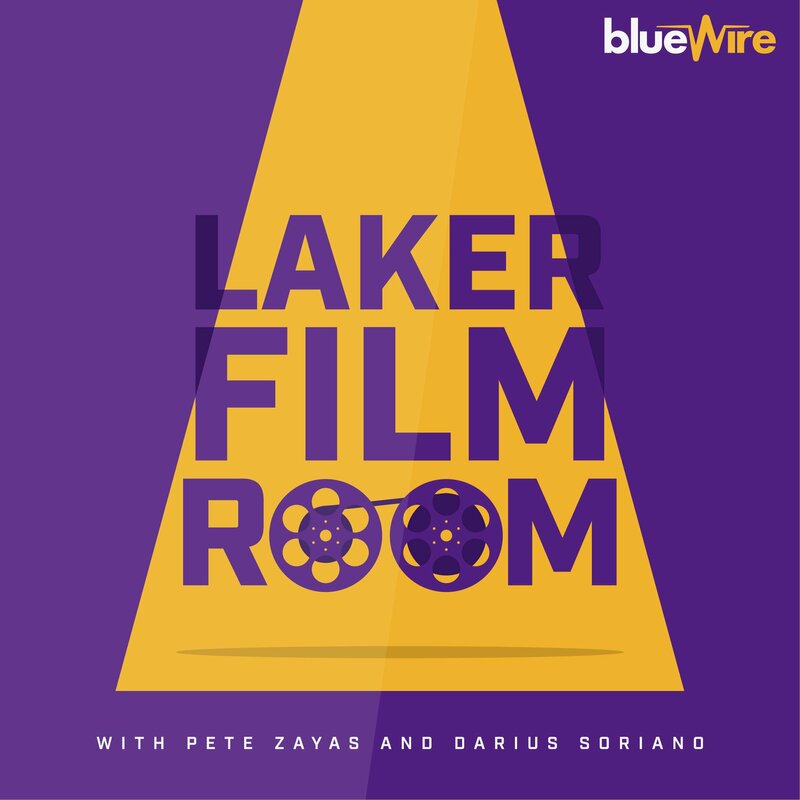 In other words, the Lakers will have some major decisions to make when thinking about a future that involves Thomas — decisions that have a slew of variables that will require a certain amount of optimism that cannot be helped but be mixed with very real skepticism. And this is true of any other team potentially seeking his services as well. All in all, then, one has to feel bad for Thomas. He was on top of the world just a year ago. The marquee player on the Eastern Conference’s #1 seed. Then he got hurt, gutted it out and played, lost his sister to a tragic car accident, got traded to a rival team, didn’t recover as well as hoped from his rehab, got traded again, and now is ending his season with a surgery on the same hip which caused his downturn to begin with. Life comes at you fast, as the kids say. Again, the hope is that he makes his way back to where he was, whether it’s with the Lakers or not. Because if he doesn’t, he may end up chasing an opportunity that never materializes for him again. And that would be a shame.